Well, we have certainly had a lot of time to sit and think about what we've done, haven't we? Plenty of time to print more banners, hire more airplanes, and bicker among ourselves. If I don't see some real clever jokes on all of the banners they are bound to show on television after we concede first on Sunday, I'm going to seriously wonder what you did with the two weeks you just had free from this nightmare. Meanwhile, you've got Alexis Sánchez saying things like "I will see out my contract, stay in London, and play for a winner," or something like that. Honestly, if you really want to play some meaningful games down the stretch while living in London, Fulham are sitting right outside of a Championship play-off spot right now. That said, Alexis's quote was much more vague in reality than the way it has been represented in both the media and by me earlier in this paragraph, so something something storm in a teacup. After all that time off, I had forgotten that Petr Čech had injured his calf against West Brom, meaning we'll get to see more of David Ospina for at least Sunday and Wednesday's home game against West Ham. Čech could be available again next weekend when Arsenal travel to Crystal Palace on Monday night. Meanwhile, the bizarre saga of Lucas Pérez continues, as the Spaniard is out with a thigh injury this weekend. Santi Cazorla's season has officially been deemed over as well. Mesut Özil has missed a lot of time lately through a variety of injuries and ailments, but he made a cameo appearance off the bench for Germany against Azerbaijan and should be fit for Sunday. Predicted XI: Čech, Bellerín, Mustafi, Koscielny, Monreal, Xhaka, Ramsey, Özil, Walcott, Iwobi, Alexis, Wenger Out Plane, Wenger In Plane. İlkay Gündoğan injured ligaments in his knee just days before Manchester City played Arsenal in the reverse fixture back in December, ending the German's season. Elsewhere, Gabriel Jesus made his name really quickly in the Manchester City squad; the 19-year-old Brazilian assisted on a goal 17 minutes into his first career start and scored his first goal on 39 minutes. However, in his fourth game overall, he broke a metatarsal in his foot and could miss the rest of the season. As we're coming back from an international break, there's always a bit more vagueness when it comes to players in the "doubt" column. Raheem Sterling is 75/25, leaning towards likely being available, with lower back pain. Kevin De Bruyne is 50/50, as are Bacary Sagna and Pablo Zabaleta. Predicted XI: Caballero, Sagna, Stones, Otamendi, Clichy, Fernandinho, Touré, Sterling, Silva, Sané, Agüero. Arsenal famously have a terrible record against other title contenders over the course of the past few years, but their record against Manchester City isn't too bad by comparison to the rest. Of course, grain of salt here, Arsenal came from ahead to lose the reverse fixture 2-1 in Manchester in December. Theo Walcott opened the scoring in the fifth minute for Arsenal, who had lost at Everton earlier in the week. Things looked good for Arsenal for a while, though I will admit that I was on a bus back from Washington, DC from a wedding so I missed the game entirely. Manchester City equalized two minutes after halftime through Leroy Sané, though there were shades of offside; again, never submitted myself to watching the highlights, so I'm not sure how obvious those shades were. Raheem Sterling netted the winner 19 minutes from time. 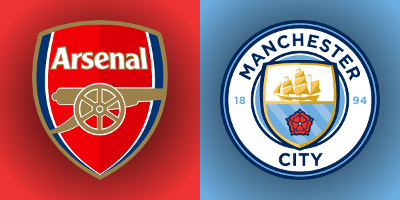 Prior to the loss in December, Arsenal had been unbeaten in six against City in competitive fixtures, though that total includes a Community Shield in there. Arsenal won this fixture last season, 2-1, which was also just before Christmas, in this case in 2015. Theo Walcott and Olivier Giroud scored in the 33rd minute and first minute of first half stoppage time, respectively, as the Gunners established themselves as title contenders. Yaya Touré pulled a goal back on 82 minutes to make things nervy, but Arsenal truly looked like potential champions at that time. Days later, they lost 4-0 at Southampton on Boxing Day and Arsenal's title race, of course, stumbled in the winter. The referee is West Midlands-based Andre Marriner. Since Marriner was a part of that thing that time, Arsenal have a record of six wins, one draw, and two losses with Marriner in the middle. Peculiarly, both of those losses came at home to Watford, first in last year's FA Cup and then again at the end of January. So, since this isn't against Watford, we're in for some pretty smooth sailing, no? Aside from the loss to Watford, Marriner also took charge of Arsenal's 1-1 draw at Old Trafford in November and their 2-0 win over Crystal Palace in early January. He was also the man in the middle for this corresponding fixture last season, played on a Monday night just before Christmas. Manchester City have seen Marriner four times already this season, picking up six points from six in games not against Tottenham and one point from six in games actually against Tottenham, which is infuriating to me. The wins were 3-1 over West Ham and 2-1 at Burnley; they drew 2-2 at home to Tottenham in January after losing 2-0 at White Hart Lane in October. John Painting is a contributing writer to the Modern Gooner and is curious what the cost of renting a banner on an airplane would be. You can follow him on Twitter @zorrocat for pricing discussion.